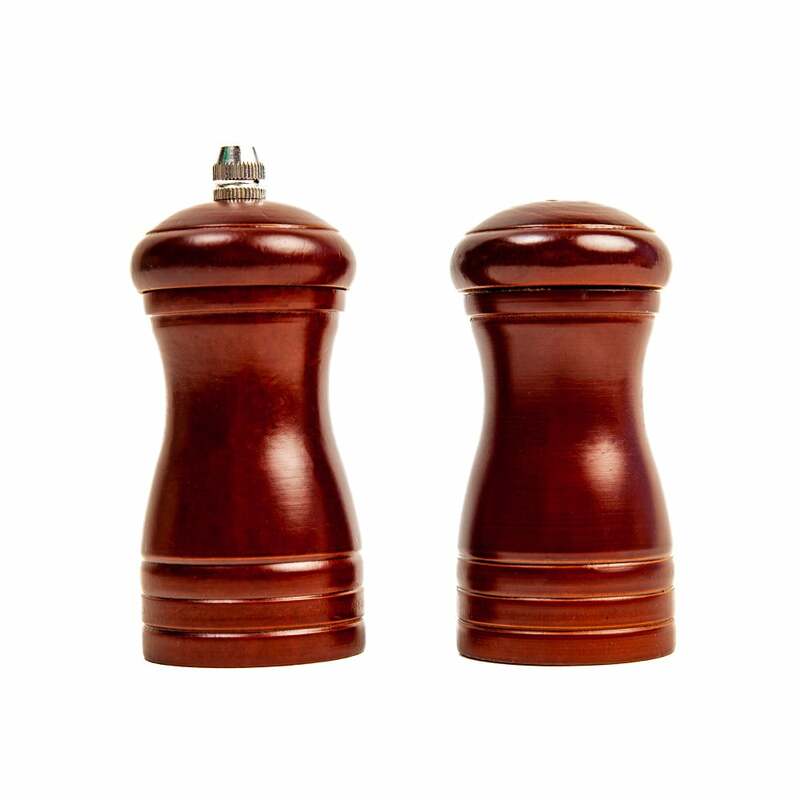 Buy Salt Shaker and Pepper Mill Set @ 19.95$ as low as @ 11.97$ | Household Supplies '); $(".urlwrite", table).html('' + customer.find("title").text() + ''); $(".reviewcount", table).html(customer.find("reviewcount").text()); $(".rating", table).html(' '); $(".userrating", table).html('UserRating'); $(".btnofprod", table).html('Go To Product'); $("#dvCustomers").append(table).append("
Made from eco friendly rubber wood; light in weight; durable; unique conventional design; comfortable grip. Manual grinding; effortless movement for grinding spices like peppercorns, mustard seeds or sea salt. 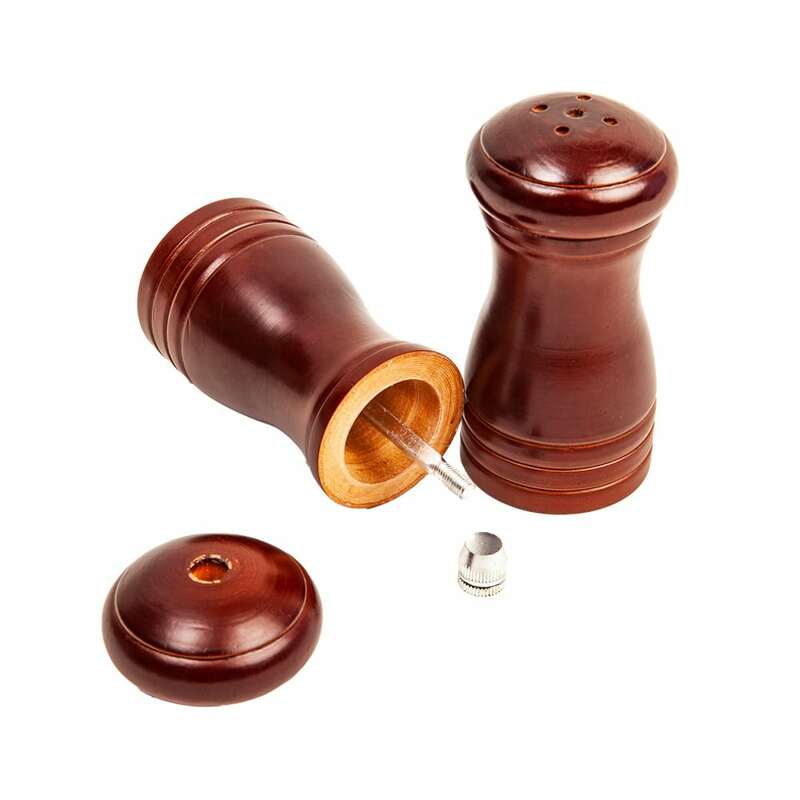 Pack of 1 pepper mill and 1 salt shaker with silicon food grip at the bottom and a dispenser cap; fine burnish polish. 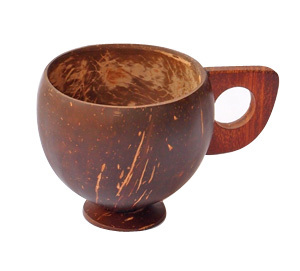 Height 10 cm; can hold upto 65 – 85 gms of salt and pepper; best for kitchen, dinning top, outdoor or office; suitable for gifting. 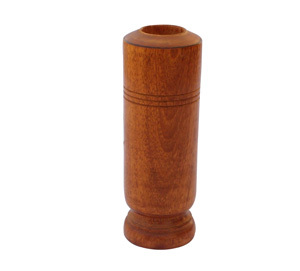 Made from Eco friendly rubber wood this pepper mill unlike those heavy ones is light in weight. Being made from wood is durable and is a one time investment. It is manually operated with minimal effort. 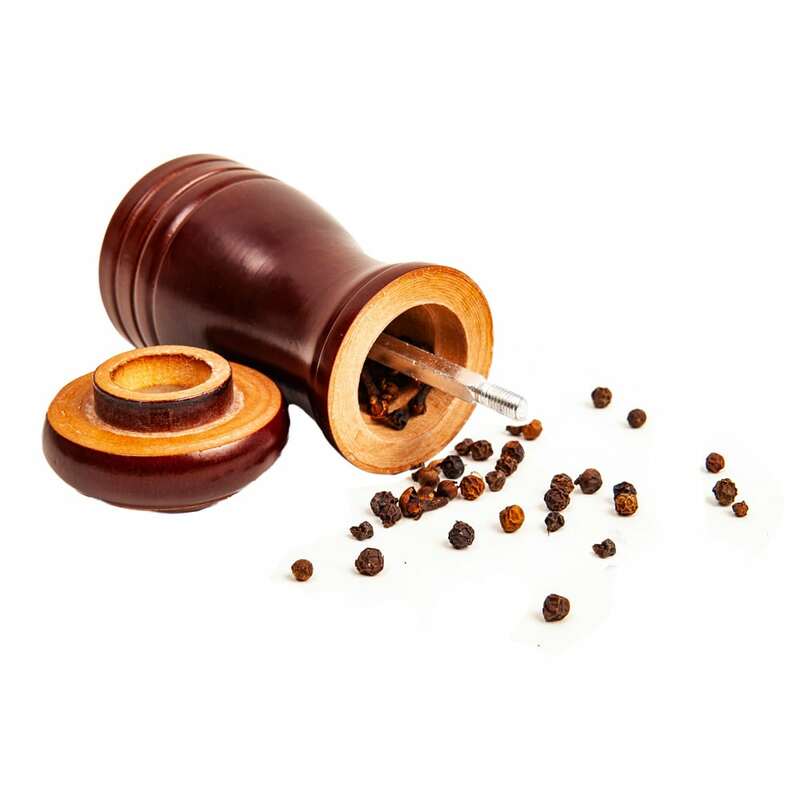 Just by twisting the grinding nob in a clockwise direction you can grind peppercorns and other smalls spices like mustard seeds or even sea salt. 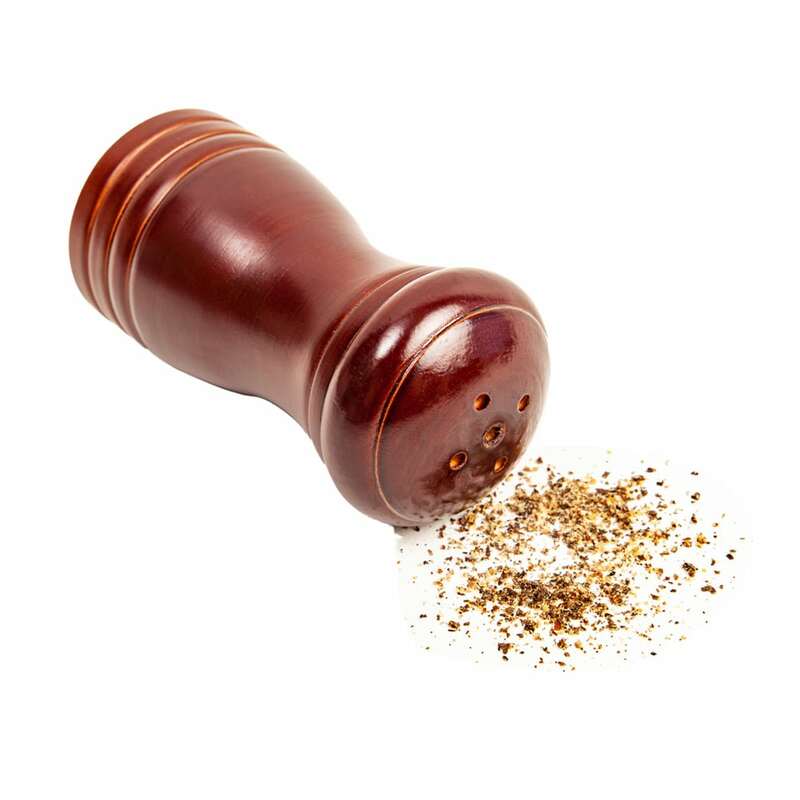 The freshly ground spices or pepper gives your dish a vibrant and fresh flavour. 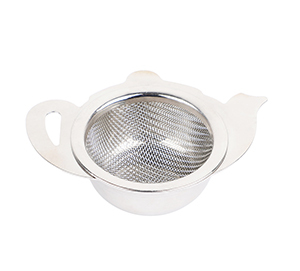 The grinding burr is stainless steel and is rust-free. 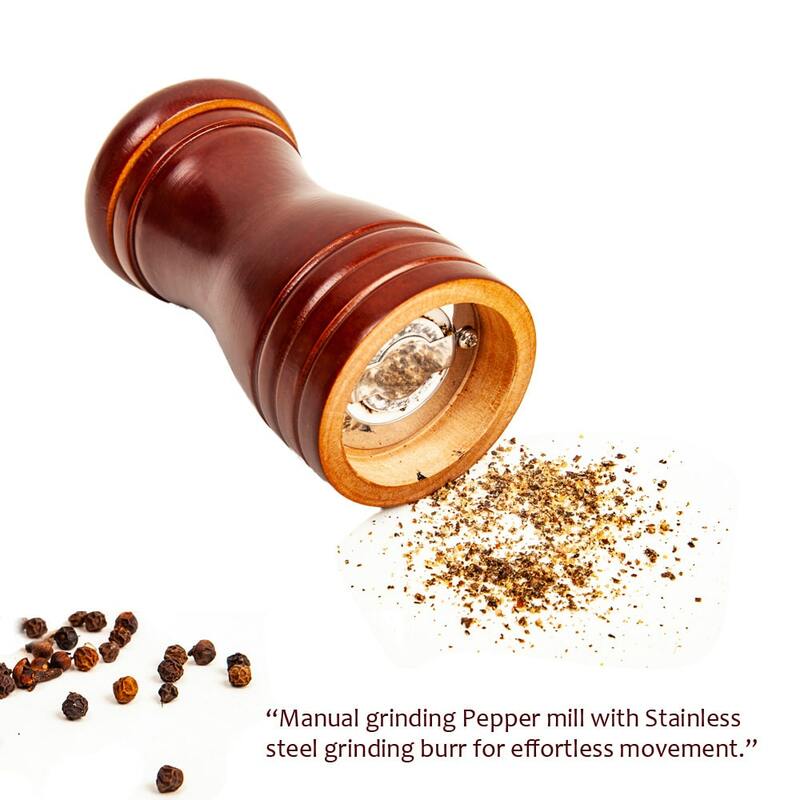 Grinder of the pepper mill is fully adjustable for refilling. The pack includes a salt shaker also that comes with a dispenser cap and has a silicon food grip provided at its bottom. You just need to wipe with a damp cloth to clean it. 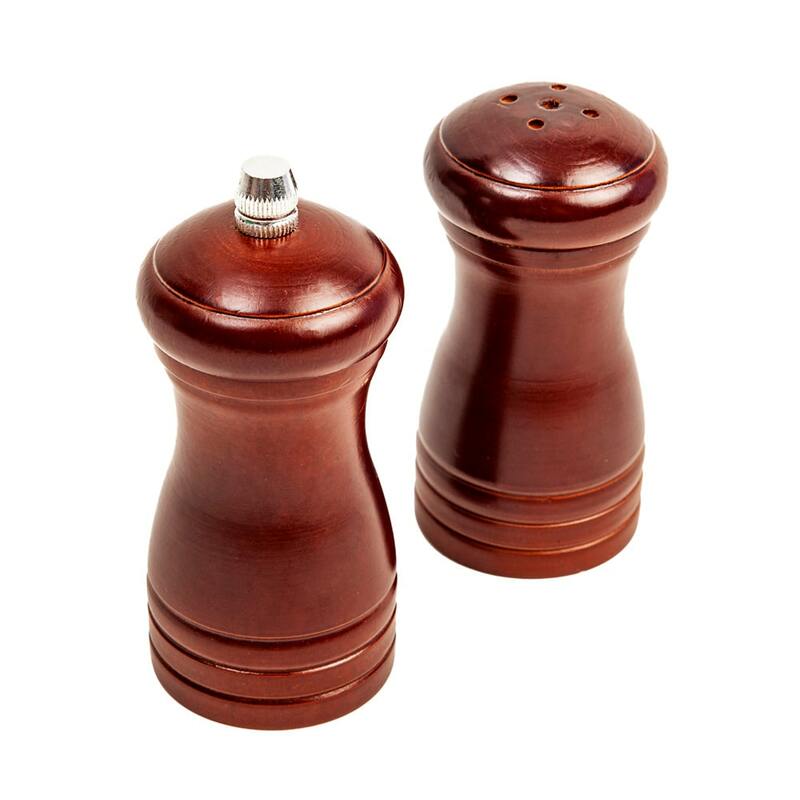 Both the pepper mill and the salt shaker are 10cm in height and can hold approximately 65 -85 grams of pepper and salt. 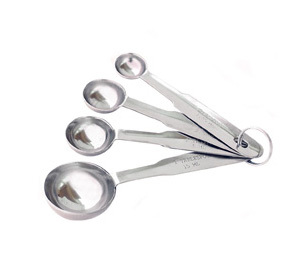 Best for kitchen, dinner tables, picnic or office. Having a unique conventional design with fine burnish polish can be a good option for gifting it to your loved ones.